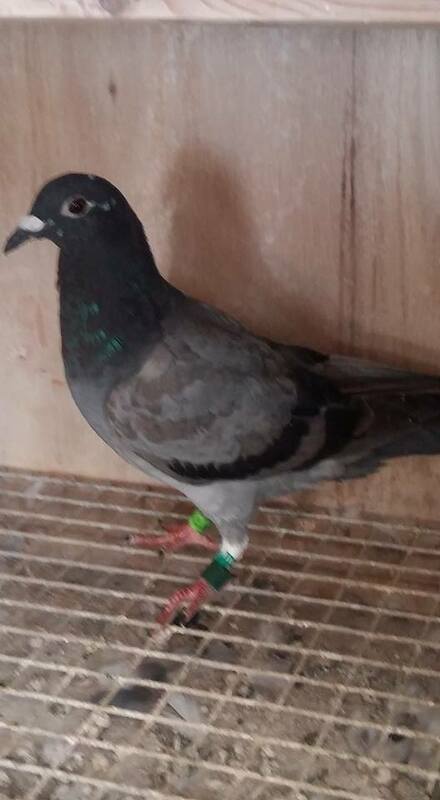 Over the moon with result yesterday thanks to everyone for the messages pigeon is bred of sire bought of Davy Campbell reduction sale on pigeon craic in winter and dam is from Gregg Bros and McCandless. Big well done also to Gordon Bros Pigeons yday on there exxellant clocking. Paddy McComb. 1-1F McComb Bros Killyleagh Cent 1668, 2-2F Gordon Bros & Son Killyleagh Cent 1667, 3-3F Gordon Bros & Son 1666, 4-4F Gordon Bros & Son 1666, 5-5F Gordon Bros & Son 1666, 6-6F Gordon Bros & Son 1666, 7-7F Gordon Bros & Son 1666, 8-8F Gordon Bros & Son 1666, 9-9F Gordon Bros & Son 1665, 10-10F Gordon Bros & Son 1665, 11-11F Gordon Bros & Son 1665, 12-12F Gordon Bros & Son 1665, 13-13F Gordon Bros & Son 1665, 14-14F Gordon Bros & Son 1665, 15-15F Gordon Bros & Son 1665, 16-16F Gordon Bros & Son 1665, 17-17F Gordon Bros & Son 1664, 18-18F Gordon Bros & Son 1664, 19-19F Gordon Bros & Son 1664, 20-20F Gordon Bros & Son 1664. Sect A 54/1531 – G & S Smith Cookstown 1521, G & S Smith 1513, G & S Smith 1499. Sect B 108/3112 – Thompson Bros Crumlin 1512, Thompson Bros 1512, Thompson Bros 1511. Sect C 131/3651 – J & D Braniff Wheatfield 1622, G & M Atcheson Ligoniel 1614, G & M Atcheson 1613. Sect D 69/1861 – N Edgar & Son Dromara 1636, N Edgar & Son 1634, N Edgar & Son 1629. Sect E 118/4659 – D Lunn Laurelvale 1588, C J & B Ferris Wilton Cross 1576, G Buckley & Son Annaghmore 1575. Sect F 48/1235 – McComb Bros Killyleagh Central 1668, Gordon Bros & Son Killyleagh Central 1667, Gordon Bros & Son 1666. Sect G 53/2062 – J J McCabe Newry & Dist 1647, Sands & Rice Ballyholland 1631, Sands & Rice 1630. Sect H 64/1035 – D Booth Foyle 1363, D Booth 1363, D Booth 1360.